Two MP3/WAV recordings for rehearsal. 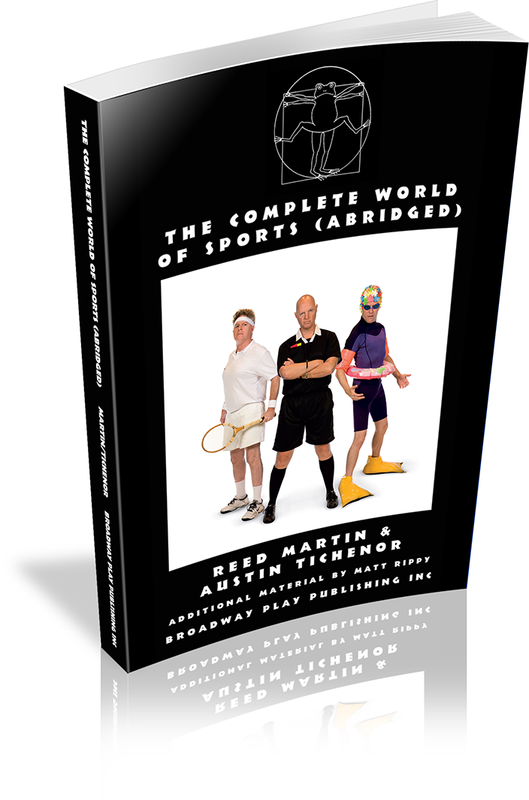 In this merciless but affectionate satire, The Reduced Shakespeare company sets its comic sights on the lunacy of sports. The result is a tour-de-farce of vaudevillian physical comedy that will delight every non-sports fan in the family. 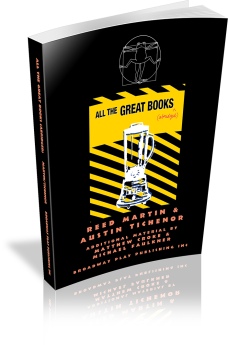 Reed Martin co-created and performed in the original productions of THE COMPLETE HISTORY OF AMERICA (ABRIDGED), THE BIBLE: THE COMPLETE WORD OF GOD (ABRIDGED), WESTERN CIVILIZATION: THE COMPLETE MUSICAL (ABRIDGED), ALL THE GREAT BOOKS (ABRIDGED), COMPLETELY HOLLYWOOD (ABRIDGED), THE COMPLETE WORLD OF SPORTS (ABRIDGED), THE ULTIMATE CHRISTMAS SHOW (ABRIDGED), AND THE COMPLETE HISTORY OF COMEDY (ABRIDGED). 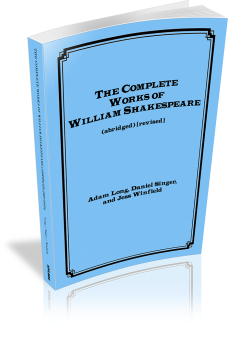 He also contributed additional material to THE COMPLETE WORKS OF WILLIAM SHAKESPEARE (ABRIDGED). Reed is a managing partner of the Reduced Shakespeare Company and has performed in London's West End, at Lincoln Center Theater, Kennedy Center, Seattle Repertory Theatre, American Repertory Theatre, Pittsburgh Public Theater, California Shakespeare Festival, McCarter Theatre, Long Wharf Theatre, Old Globe Theatre, La Jolla Playhouse, Alabama Shakespeare Festival, The White House and Madison Square Garden, as well as in 11 foreign countries. Reed has performed at A.C.T. in San Francisco in Travesties by Tom Stoppard and The Government Inspector, as well as at the Magic Theatre in Moving Right Along, written and directed by Elaine May and featuring Marlo Thomas. He toured for two years as a clown/assistant ringmaster with Ringling Brothers/Barnum & Bailey Circus. His voice was heard in the animated feature film Balto,/i> and just about every other part of him was seen in the British film Carry On Columbus. Reed has written for the BBC, NPR, Britain's Channel Four, RTE Ireland, Public Radio International, The Washington Post and Vogue magazine. With Austin Tichenor he co-authored the book The Greatest Story Ever Sold, published by John Knox/Westminster Press, as well as Reduced Shakespeare: The Complete Guide For The Attention-Impaired (abridged), published by Hyperion. His work has been nominated for an Olivier Award in London, a Helen Hayes Award in Washington, D.C., and San Francisco Bay Area Theatre Critic's Circle Award. He has a BA in Political Science/Theatre from UC Berkeley, an MFA in Acting from UC San Diego and is a graduate of Ringling Brothers/Barnum & Bailey Clown College. A member of both the Dramatists Guild and The Stage Directors and Choreographers Society, Reed is also a former professional minor league baseball umpire. He lives in Northern California with his wife and two sons, all three of whom are much funnier than he is. 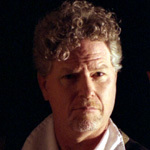 Austin Tichenor is a playwright, lyricist, songwriter, director, and actor. He's the co-author of nine COMPLETE (abridged) stage comedies, which have been produced around the world, published in two countries, and translated into over a dozen languages; the beautifully illustrated (by Jennie Maizels) children's book for all ages Pop-Up Shakespeare; the irreverent reference book Reduced Shakespeare: The Complete Guide for the Attention-Impaired (abridged); the comic memoir How The Bible Changed Our Lives (Mostly For The Better) for all e-book platforms; the half-hour film The Ring Reduced for UK's Channel 4; the half-hour pilot The Week Reduced for TBS; and the six episode Reduced Shakespeare Radio Show for the BBC World Service. He also produces and hosts the weekly Reduced Shakespeare Company Podcast, which was named one of Broadway World's Top Ten Podcasts for Theatre Fans. Austin is an alumnus of the BMI Musical Theatre workshop and has written over a dozen plays and musicals for young audiences. His full-length one-act DANCING ON THE CEILING (an adaptation of Kafka's "The Metamorphosis") and adaptation of FRANKENSTEIN are both published by Broadway Play Publishing, and he directed the world premiere of his adaptation of New York Times bestselling author Jasper Fforde's THE EYRE AFFAIR in 2016. 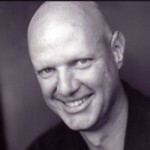 As co-managing partner of the Reduced Shakespeare Company, he has performed with them around the world, Off-Broadway, in London's West End, in the PBS version of THE COMPLETE WORKS OF WILLIAM SHAKESPEARE (abridged), and at such theaters as the Kennedy Center, Lincoln Center, American Repertory Theatre, the Folger Shakespeare Theatre, Cincinnati Playhouse in the Park, Pittsburgh Public Theatre, Merrimack Repertory Theatre, and Repertory Theatre of St. Louis. On TV, Austin played recurring roles on 24, Alias, Felicity, Ally McBeal, and The Practice, and guest starred as Guys In Ties on The West Wing, The X-Files, ER, The Mentalist, Nip/Tuck, Gilmore Girls, and on many other hours of episodic television. He's also performed his own material many times on NPR and the BBC, performed with both the Oakland Symphony and in Disney Hall with the Los Angeles Philharmonic, and acted in the midwest premiere of Lauren Gunderson's THE BOOK OF WILL at Chicago's Northlight Theatre, and in the world premiere of IN THE GARDEN: A DARWINIAN LOVE STORY with Chicago's Tony Award-winning Lookingglass Theatre Company. Austin is a fifth-generation Californian who was born on the 54th anniversary of the San Francisco Earthquake and the 185th anniversary of Paul Revere's Ride, which makes him older than he looks but short for his weight. Austin is a member of the Dramatists Guild, has a BA in History and Theatre from UC Berkeley and an MFA from Boston University, and currently lives in Chicago with his improviser and writer wife Dee Ryan, their two kids, and too many cats. 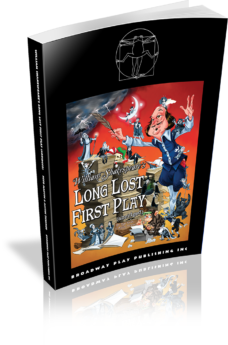 All 37 plays in 97 minutes! Three madcap men in tights weave their wicked way through all of Shakespeare's comedies, histories, and tragedies in one wild ride that will leave you breathless and helpless with laughter. An irreverent, fast-paced romp through the Bard's plays, THE COMPLETE WORKS OF WILLIAM SHAKESPEARE (ABRIDGED) was London's longest-running comedy. 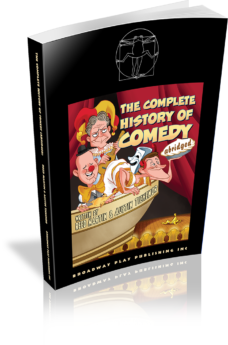 From the high-brow to the low, THE COMPLETE HISTORY OF COMEDY (abridged) covers comedy through the ages, from Aristophanes and Shakespeare and Molière to Vaudeville and Charlie Chaplin to The Daily Show and Anthony Weiner. 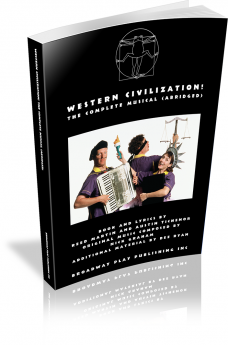 To celebrate the 20th anniversary of the Reduced Shakespeare Company's classic farce, two of its original writer/performers (Daniel Singer and Jess Winfield) thoroughly revised the show to bring it up to date for 21st-century audiences, incorporating some of the funniest material from the numerous amateur and professional productions that have been performed throughout the world. The cultural touchstone that is THE COMPLETE WORKS OF WILLIAM SHAKESPEARE (ABRIDGED) was born when three inspired, charismatic comics, having honed their pass-the-hat act at Renaissance fairs, premiered their preposterous masterwork at the Edinburgh Festival Fringe in 1987. It quickly became a worldwide phenomenon, earning the title of London's longest-running comedy after a decade at the Criterion Theatre. 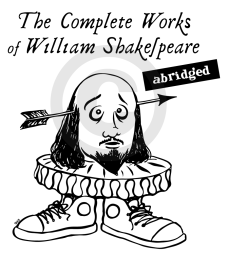 THE COMPLETE WORKS OF WILLIAM SHAKESPEARE (ABRIDGED) is one of the world's most frequently produced plays and has been translated into several dozen languages. Featured are all 37 of Shakespeare's plays, meant to be performed in 97 minutes, by three actors. Fast paced, witty, and physical, it's full of laughter for Shakespeare lovers and haters alike. 600 years of history in 6000 seconds … history will never be the same! From Washington to Watergate, yea verily from the Bering Straits to Baghdad, from New World to New World Order – THE COMPLETE HISTORY OF AMERICA (ABRIDGED) is a ninety-minute rollercoaster ride through the glorious quagmire that is American History, reminding us that it’s not the length of your history that matters — it’s what you’ve done with it! History like you’ve never experienced it before. As a musical. 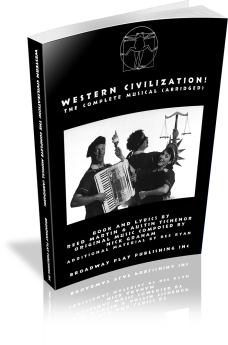 You’re gonna laugh like it’s 1499, and the music will knock you out! Confused by Confucius? Thoroughly thrown by Thoreau? Wish Swift was swifter? Then buckle up and hop aboard as you zip through everything you didn’t get around to reading in school, a ninety-eight minute roller-coaster ride through the world’s great books. A fast-paced musical comedy in which a cast of five Dickens devotees bring hundreds of his best-loved characters to life in 90 minutes of madcap Dickensian mayhem. 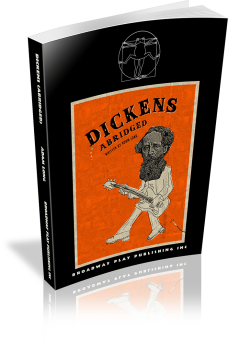 From Great Expectations complete with flaming bride, to A Christmas Carol in which Tiny Tim rocks the house with a soaring electric guitar solo, DICKENS (ABRIDGED) also features scenes from David Copperfield, Bleak House, A Tale of Two Cities, Oliver Twist and Nicholas Nickleby. Just when you thought it was safe to go back in the theater … the Reduced Shakespeare Company boldly goes where few would dare — Tinseltown! 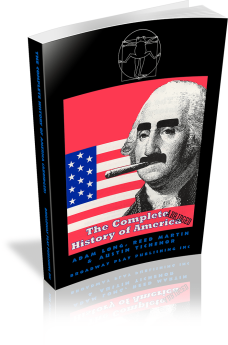 America’s “bad boys of abridgement” take on America’s largest cultural and economic export (well, except for weapons) in this seriously silly show biz satire. Get your clapper boards ready as we rummage through the reels and flick through the films in this riotous carnival of the classics. 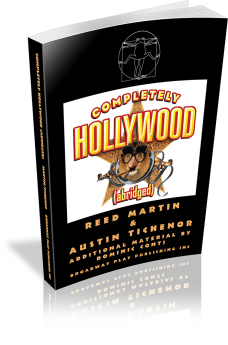 Giving Hollywood more than just a nip and a tuck, they cut through the celluloid to condense the 186 greatest films in Hollywood’s over 100-year history into a complete compilation of classic cinematic cliches — plus a few brand new cliches they just made up. Welcome to the Annual Holiday Variety Show and Christmas Pageant at St. Everybody's Non-Denominational Universalist Church, where all faiths are welcome because we'll believe anything. But there's a problem: none of the acts scheduled to perform have arrived, so three members are pressed into service to perform the entire Variety Show and Christmas Pageant by themselves. 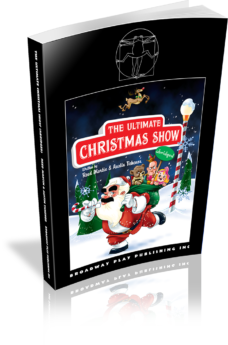 An irreverent yet heartwarming trip through the holidays, THE ULTIMATE CHRISTMAS SHOW (ABRIDGED) is festive, funny, physical, family fun as these Three Wise Guys send up and celebrate our favorite holiday traditions. Discovered in a treasure-filled parking lot in Leicester, England (next to a pile of bones that didn’t look that important), an ancient manuscript proves to be the long-lost first play written by none other than seventeen-year-old William Shakespeare from Stratford. We are totally not completely making this up. WILLIAM SHAKESPEARE’S LONG LOST FIRST PLAY (abridged) is the literary holy grail: an actual manuscript in Shakespeare’s own hand showing all his most famous characters and familiar speeches in a brand-new story. But because it’s one hundred hours long and contains multiple unwieldy storylines, it was decided, as a public service, to abridge it down to a brief and palatable ninety-minute performance for this lost masterpiece. An affectionate, irreverent roller-coaster ride from fig leaves to Final Judgment, tackling the great theological questions: Did Adam and Eve have navels? Did Moses really look like Charlton Heston? And why isn't the word “phonetic” spelled the way it sounds? 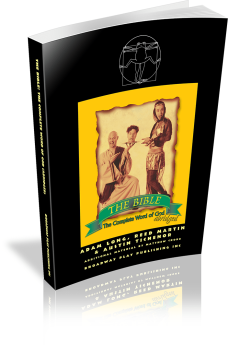 Whether you're Catholic or Atheist, Muslim or Jew, Protestant or Purple People Eater, you will be tickled by this romp through old-time religion.